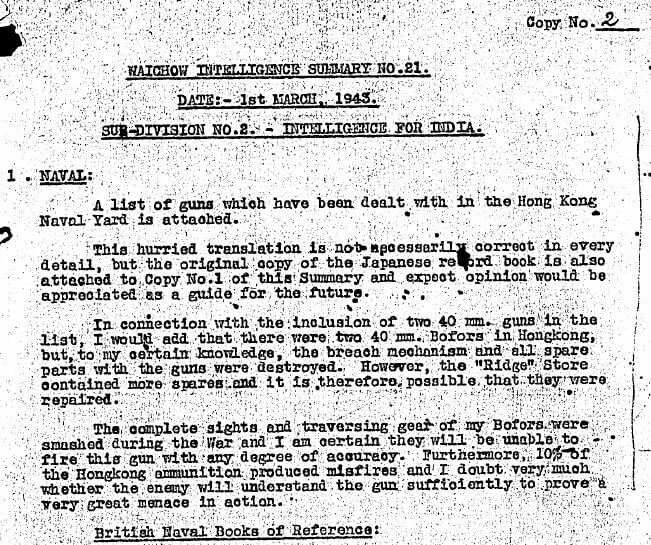 Elizabeth Ride has sent the Naval section of a British Army Aid Group (BAAG) Waichow Intelligence Summary (WIS No.21) dated 1st March 1943. 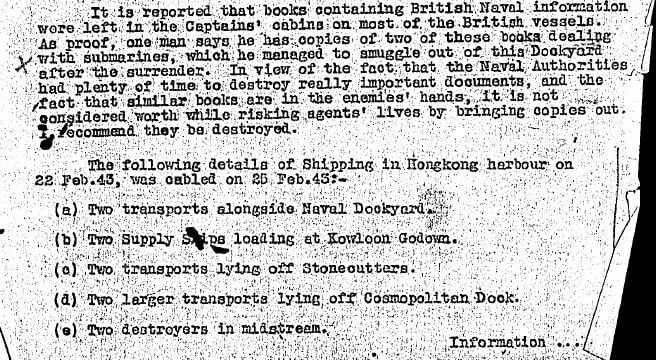 This covers shipping movements in and out of Hong Kong during the Japanese occupation in World War Two during late February 1943. HMS Moth HF: “One of the first tasks, [after the Japanese occupation], was to restore the R.N. gunboat, H.M.S. 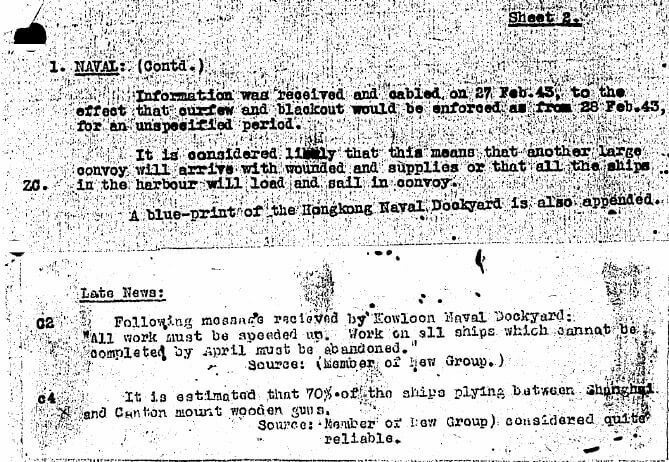 Moth, scuttled in Hong Kong dockyard?during the battle. She was refloated by the Imperial Japanese Navy (I.N.J.) 2nd Construction Department. 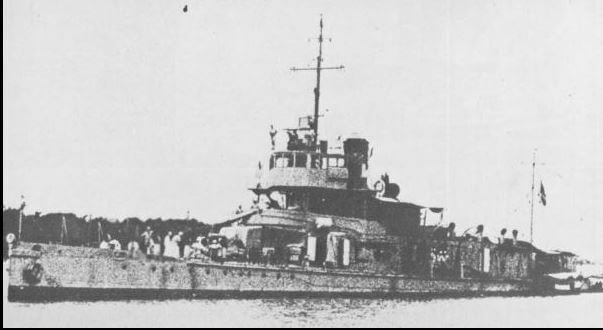 HMS Moth in service as the IJN Suma. 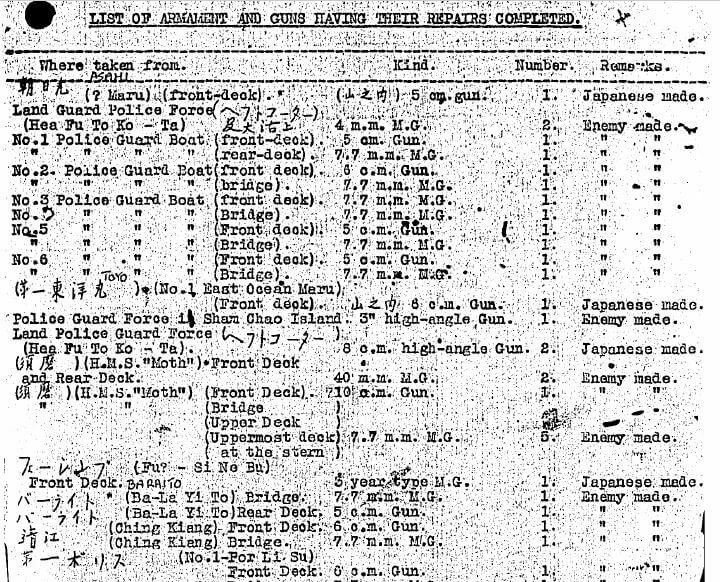 Hip Sing Maru refers to small cargo ship Kyosei Maru (38, 556) ON 44836 that was sent south and sunk by US Naval forces off Kavieng 22/23 Feb 1944.